Before today, I hadn’t picked up a paint brush since July 24th. How do I know? That’s when I did my painting of TE Lawrence. Sick of not painting, I decided to reconcile the situation. My folks gave me a moleskine watercolour sketchbook for Christmas, and I am determined to fill it before I return to the States. I paint portraits primarily, and portraits of those who fascinate me. 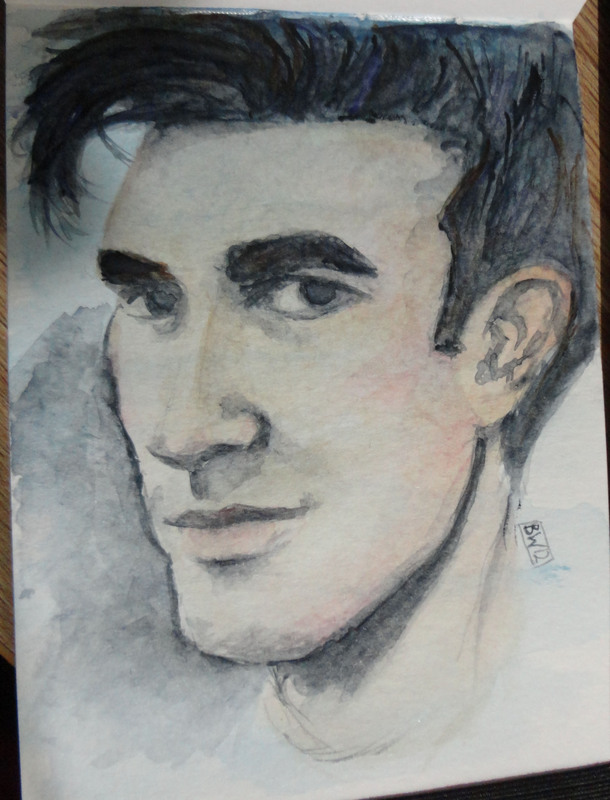 Given that I’ve listened to the Smiths pretty much non-stop since getting here, it was only logical that I paint their front man, Morrissey. Needless to say, I’m thrilled with how this portrait turned out. There are a few issues, but considering I haven’t painted in months…pretty damn good. I hope to share more paintings with you as I complete them! You’ve still got it! Happy 2012! Thanks! The first one didn’t turn out so well…the current one needs serious rescuing. Wow! That’s some talent you have there. The eyes have it in portraits for me and you caught his misty mind in them perfectly. Good start to the year! Thank you! I enjoy painting eyes the most. Pingback: Space for Rent: Hollywood as the Normalizer « Neither Here nor There….